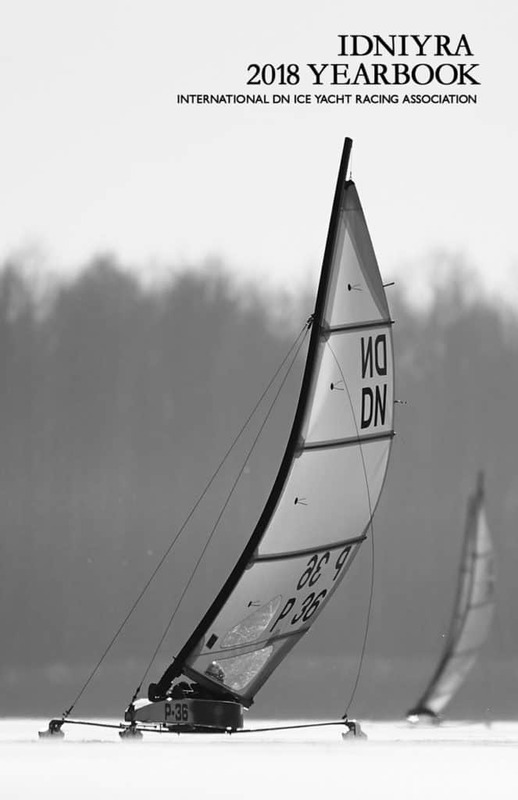 This vintage video provides a fascinating glimpse to the beginnings of the DN class at the North Star Sailing Club in Harrison Township, Michigan. Remi DeBlaere, who was a member of North Star DN Fleet built my first DN, #305 in the fall of 1956. The North Star club house was an old one room school house. Skip Boston used to tell me this story about North Sta : Via the grapevine, Skip learned that they were starting their DN races like sailboat races, everyone sailing jockeying around for the best start like in a sailboat race, with some collisions, as would be expected. So Skip went over to North Star and taught them how to line up for an iceboat race. Some of those original North Star DN fleet members became champions and as time went on some of the best DN sailors in the country were members of North Star and were very influential in the DN class growing throughout the North American and into Europe. Currently, North Star Sailing Club is one of the outstanding clubs on Lake St. Clair. On January 7, 1954 the North Star Sail Club offered to be host for the annual regatta. There were no other offers so theirs was accepted. 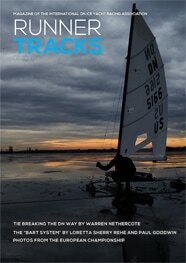 Sixty-two programs were sent out on February 1 for the regatta scheduled for February 20 and 21. 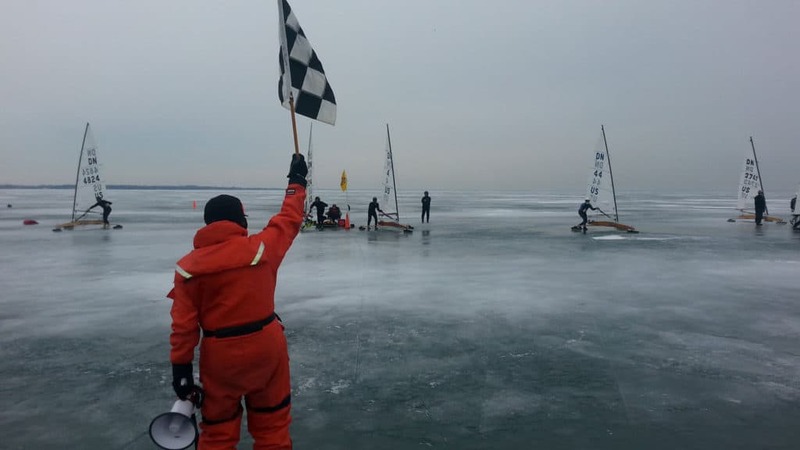 On February 19 the regatta was transferred to Cass Lake because of poor ice at the North Star Club House on Lake St. Clair. The first five DN’s in this regatta were: (1) Jack Moran, (2) Skip Boston, (3) Paul Eggert, (4) Bill Sporer, and (5) Bill Sarns. 1953: North Star Sail Club on Lake St. Clair in Michigan was the only club that offered to host the first annual regatta. 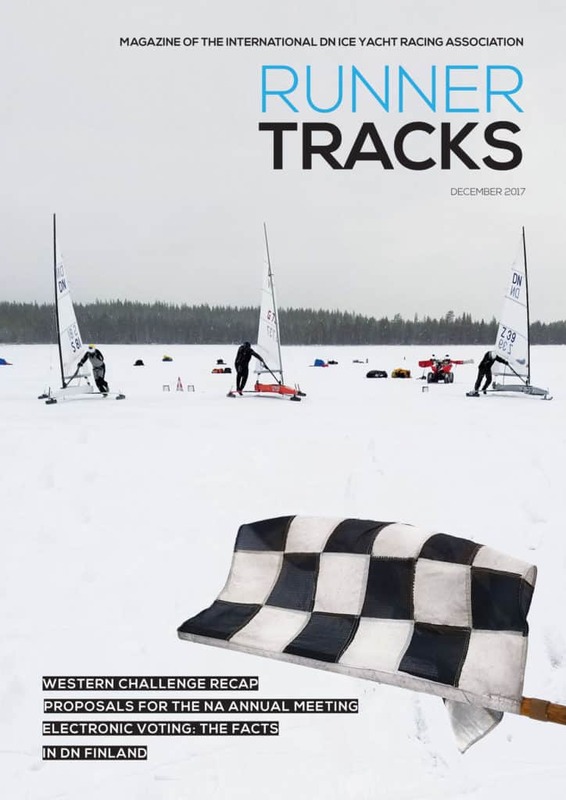 62 programs were sent out for the regatta scheduled for February 20-21. On February 19 the regatta was moved to Cass Lake, Michigan because of poor ice at the North Star club house on Lake St. Clair where it was originally intended. 1954: North Star Sail Club again sponsored the regatta and it was held at Cass Lake. The maximum fleet was 30 boats in the fourth race. 1955 The regatta was sponsored by the West Michigan Ice Yacht Club and held again at Cass Lake. 32 skippers registered. 1956: The regatta was sponsored by Anchor Bay Ice Yacht Club and held on Lake St, Clair. 25 sailors registered. 1957: 21 skippers competed on Lake St. Clair and the regatta was sponsored by the North Star Sailing Club. 1958: The sixth annual regatta was sponsored by the Detroit Ice Yacht Club and held on Lake St. Clair with clear ice and moderate wind. There were 29 sailors registered. 1959: 44 sailors registered for the regatta which was sponsored by the North Star Sailing Club and sailed on Lake St. Clair. It was the first year that the first five placing yachts were measured and checked for compliance to the official specifications. This DN boom has been around and is filled with familiar looking travel stickers! 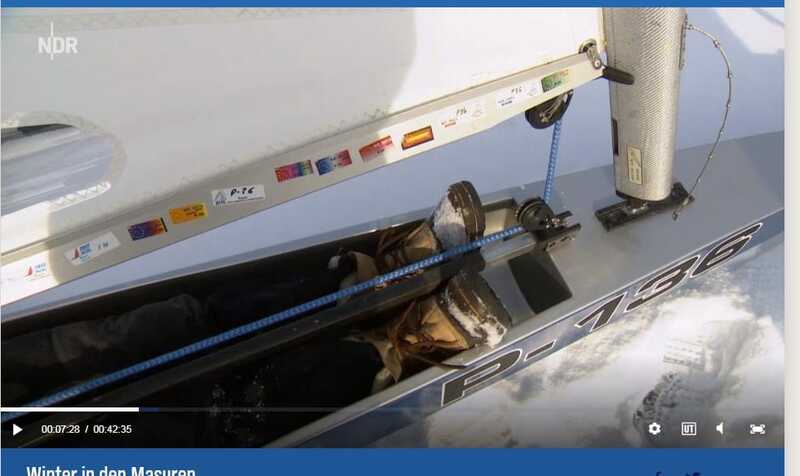 IDNYRA Gold Cup champion Karol Jablonski P36 talks ice sailing and about Poland’s Masurian Lakes District in this German TV travel piece. It’s worth watching even if you don’t understand German for some history about Karol’s soft water accomplishments and how to make the Pierogies which Karol and the host enjoy in the hotel dining room.